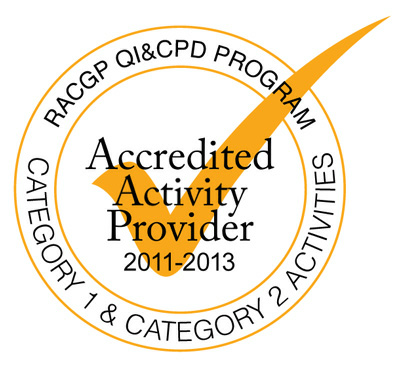 Cardiac Health Institute has been recognized by the RACGP as an accredited provider. We establish programmes that help to further skills and demystify aspects of diagnosing and treating cardiac disease. Find out more regarding our CPD calendar. Under the direction of Professor Hosen Kiat, Cardiac Health Institute continues to seek the answers to complex cardiology questions through dedicated research programmes and grants affiliated with Australian and International universities. At the Institute, we are dedicated to research so that we can improve physician competence, enhance performance in-practice, and provide continual improvement in patient care. Liebert, A., Krause, A., Goonetilleke, N., Bicknell, B., & Kiat, H. (2017). A Role for Photobiomodulation in the Prevention of Myocardial Ischemic Reperfusion Injury: A Systematic Review and Potential Molecular Mechanisms. Scientific Reports, 7. Busch, K., Chandra, R., Buckenham, T., & Kiat, H. (2017). Detection of Anomalous Cervical Internal Carotid Artery Branches by Colour Duplex Ultrasound. European Journal of Vascular and Endovascular Surgery. Seto, S. W., Chang, D., Ko, W. M., Zhou, X., Kiat, H., Bensoussan, A., ... & Liu, J. (2017). Sailuotong Prevents Hydrogen Peroxide (H2O2)-Induced Injury in EA. hy926 Cells. International Journal of Molecular Sciences, 18(1), 95. Tan, I., Kiat, H., Barin, E., Butlin, M., & Avolio, A. P. (2016). Effects of pacing modality on noninvasive assessment of heart rate dependency of indices of large artery function. Journal of Applied Physiology, 121(3), 771-780. Klupp, N. L., Kiat, H., Bensoussan, A., Steiner, G. Z., & Chang, D. H. (2016). A double-blind, randomised, placebo-controlled trial of Ganoderma lucidum for the treatment ocardiovascular risk factors of metabolic syndrome. Scientific reports, 6. Busch, K. J., Kiat, H., Stephen, M., Simons, M., Avolio, A., & Morgan, M. K. (2016). Cerebral hemodynamics and the role of transcranial Doppler applications in the assessment and management of cerebral arteriovenous malformations. Journal of Clinical Neuroscience, 30, 24-30. Tan, I., Spronck, B., Kiat, H., Barin, E., Reesink, K. D., Delhaas, T., ... & Butlin, M. (2016). Heart Rate Dependency of Large Artery StiffnessNovelty and Significance. Hypertension, 68(1), 236-242. Zhou, X., Seto, S. W., Chang, D., Kiat, H., Razmovski-Naumovski, V., Chan, K., & Bensoussan, A. (2016). Synergistic effects of Chinese herbal medicine: a comprehensive review of methodology and current research. Frontiers in Pharmacology, 7. Currie, G., Iqbal, B., & Kiat, H. (2016). The Role of Diagnostic Imaging in Identifying Appropriate Strategies for Heart Failure Management. Journal of Nuclear Medicine, 57(supplement 2), 2705-2705. Currie, G., Iqbal, B., & Kiat, H. (2016). Potential Role of 123I-mIBG Scintigraphy in Takotsubo Cardiomyopathy. Journal of Nuclear Medicine, 57(supplement 2), 2651-2651. Seto, S. W., Chang, D., Jenkins, A., Bensoussan, A., & Kiat, H. (2016). Angiogenesis in Ischemic Stroke and Angiogenic Effects of Chinese Herbal Medicine. Journal of clinical medicine, 5(6), 56. Grant SJ, Yu SB, Kiat H, Chang D. "The use of complementary and alternative medicine by people with cardiovascular disease: a systematic review." BMC Public Health. 2012;12(1):299. Currie, G.M., Iqbal, B., Wheat, J.M., Wang, L., Trifunovic, M., Jelinek, H.F., Kiat, H., "Risk stratification in heart failure using ¹²³I-MIBG." J Nucl Med Technol. 2011;39(4):295-301. Kiat, H., Bin, Y., Grant, S., Chang, D., "Complementary medicine use in cardiovascular disease: a clinician's viewpoint." The Medical journal of Australia. 2011;195(11-12), 654-6. Currie, G. M., Kiat, H., Wheat, J. "Scintigraphic Evaluation of Acute Lower Gastrointestinal Hemorrhage Current Status and Future Directions." Journal of Clinical Gastroenterology. 2011;45(2): 92-99. Currie, G. M., Wheat, J., Kiat, H. "Pharmacokinetic considerations for digoxin in older people." Open Cardiovasc Med J 2011;5: 130-135. Bin, Y. S., Kiat, H. "Prevalence of dietary supplement use in patients with proven or suspected cardiovascular disease." Evid Based Complement Alternat Med 2011: 632829. Currie GM, Kiat H, Wheat JM. Scintigraphic Evaluation of Acute Lower Gastrointestinal Hemorrhage: Current Status and Future Directions. Clin Gastroenterol 2010. Doran CM, Chang DHT,Kiat H, Bensoussan B. Review of economic methods used in complementary medicine. JACM 2010; 16(5): 591-5. Geoffrey M Currie, Hosen Kiat, Janelle M Wheat. Potential iatrogenic alteration to 18F-fluoride biodistribution. J Nucl Med 2010; 51(5):823. 2011-2012. Macquarie University Safety Net Funding in Heart Rate Variability. 2011-2014. ANSTO Health Medical Research Grant in MIBG cardiac SPECT. 2011-2012. Australian National Imaging Facility Subsidised Research Grant in Functional MRI. 2011-2014. Defence Health Foundation Medical Research Grant in Heart failure. 2011-2012. Cancer Council NSW Commissioned Strategic Research Grant in Functional MRI. 2010-2012 NHMRC Safety Net Project Grant, Macquarie University in Heart failure. 2010-2014. MediHerb Research Support Grant in Lymphoedema.